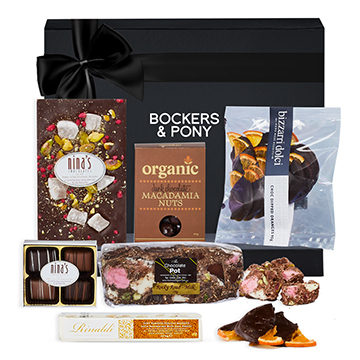 Not all Sydney gift hampers are created equal, and at Bockers & Pony, we pride ourselves on curating beautiful and unique gift ideas that are a delight to give and a sheer pleasure to receive. That's because each gift hamper is a stunning experience, brimming with luxurious, hard-to-find products that befit the chosen occasion. 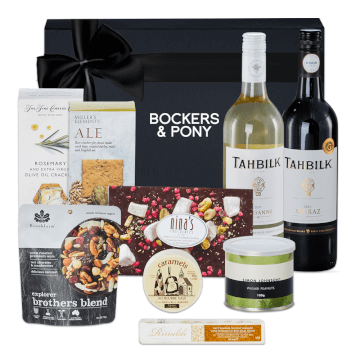 Simply browse and shop online and let our free standard gift hamper delivery Sydney service transport your gorgeous gifts to the doorsteps of your family, friends, clients and colleagues. 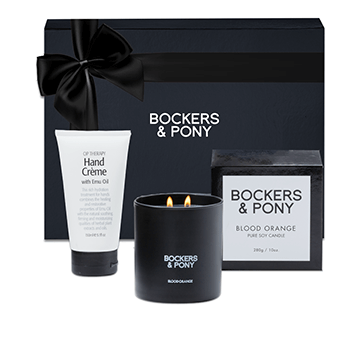 There's a reason why Bockers & Pony is not only Sydney's leading luxury gift hamper company but Australia's too! 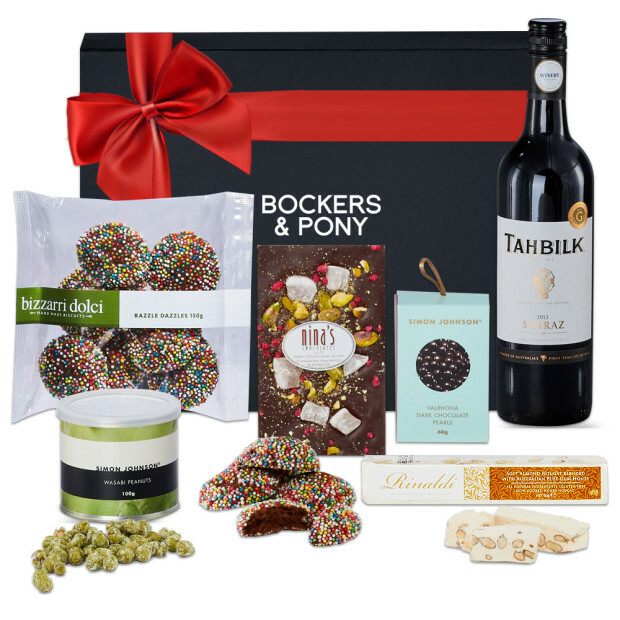 We make it incredibly easy for you to sit back, relax and browse our online collection of Sydney's best gift hampers for every occasion. 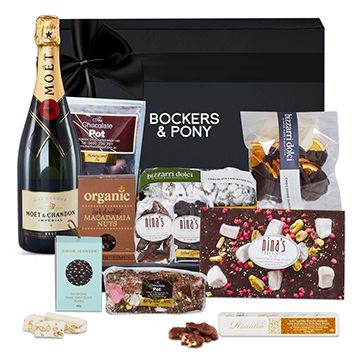 Whether you're looking to congratulate, thank, celebrate birthdays and anniversaries or wish someone better with a healthy get-well gift, our free Sydney hamper delivery service carries your wishes in elegant style. 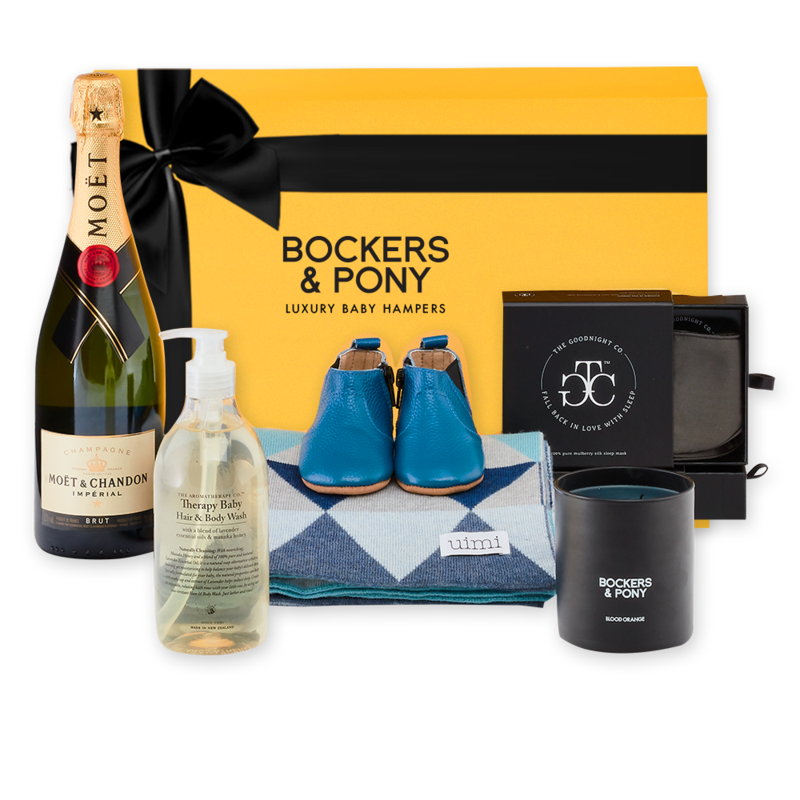 For more than a decade, Sydneysiders have turned to Bockers & Pony to deliver baby gift hampers Sydney wide. Our coveted collection showcases beautiful hampers for every budget. 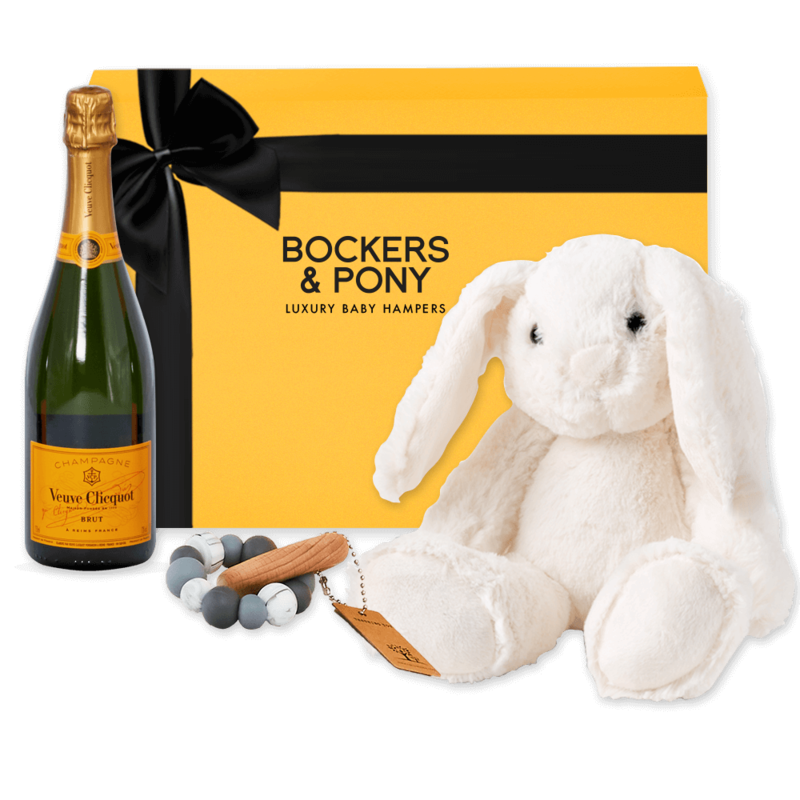 Shop online, and you'll discover New Arrival Gifts for Baby Boys and Baby Girls together with Maternity Baby Gifts, Mother & Baby Gifts and beautiful luxury hampers to treat the mum to be at her Baby Shower. 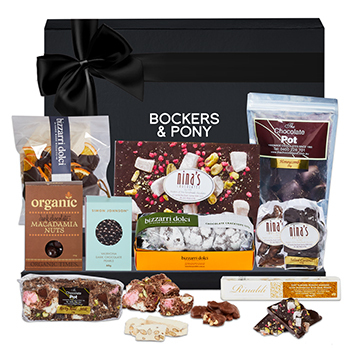 Bockers & Pony has Sydney's most comprehensive collection of contemporary and customisable corporate hampers available today. We're famous for the uniqueness of our corporate hampers as well as their immaculate presentation with ample space to add your logo or message. Our expert team can organise even the most complex of Sydney corporate gift hamper deliveries, so please do get in touch by calling 1300 132 663 or email [email protected] and we'll ensure your business stands out from the crowd! In this fast-paced world, we believe people deserve to feel cherished with a gorgeous gift that leaves a lasting impression. As Sydney's premier luxury hamper company, we deliver generous experiences that let your recipients know they're truly thought of and appreciated. 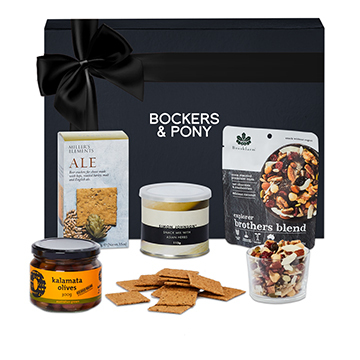 Australia's love affair with Bockers & Pony began in 2004 when we launched our first collection of indulgent gourmet hamper gifts. We like to think of every Sydney gift hamper as a collection of special thoughts, designed to reflect how you feel about your recipient. We journey to all corners of Australia and beyond to unearth every gorgeous hard-to-find thought that goes into your unique gift. 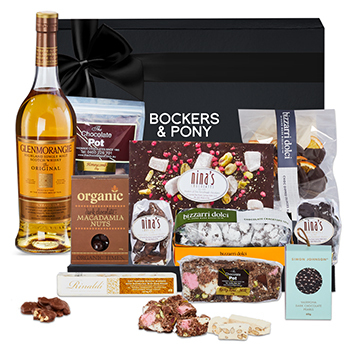 From award-winning chocolates and soft, plush toys to quality alcohol and candles made especially for Bockers & Pony customers — we deliver experiences your luxury gourmet hamper Sydney recipients will love. Inside and out, we hand make Sydney gift hampers to thrill your recipient before they've even peeked inside. From our iconic silver boxes to luxurious reusable suitcases and traveller cases, we hand pack each luxuriously presented gift hamper before delivering it to your Sydney recipient. Our gift hamper delivery service extends from Sydney Metropolitan areas to Sydney regions. We deliver our premium luxury hampers to Sydney addresses Monday to Friday. Delivery prices start from $16.95, including GST. Please note we're unable to deliver on weekends or public holidays. For Sydney same day gift delivery, the cost is $25.95 including GST. If your order is placed before 1.30pm, your hamper will be delivered the same afternoon to Sydney Metropolitan Suburbs. These suburbs are within a 20km radius of the Sydney CBD. This is provided that all information is correct and the recipient is available to receive the delivery. This promise applies to single hamper deliveries and does not include large corporate orders. For orders placed after 1.30pm or outside the 20km CBD radius, your hamper will be delivered the next business day. This includes deliveries to rural NSW. 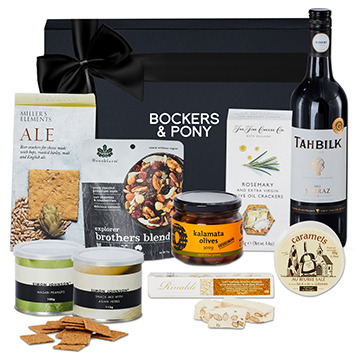 We deliver luxury hampers to Sydney and other regions of New South Wales using our trusty Sydney gift hamper courier. Thanks to their excellent track and trace capabilities, we can continue to exceed your expectations with amazing customer service and efficient delivery record. 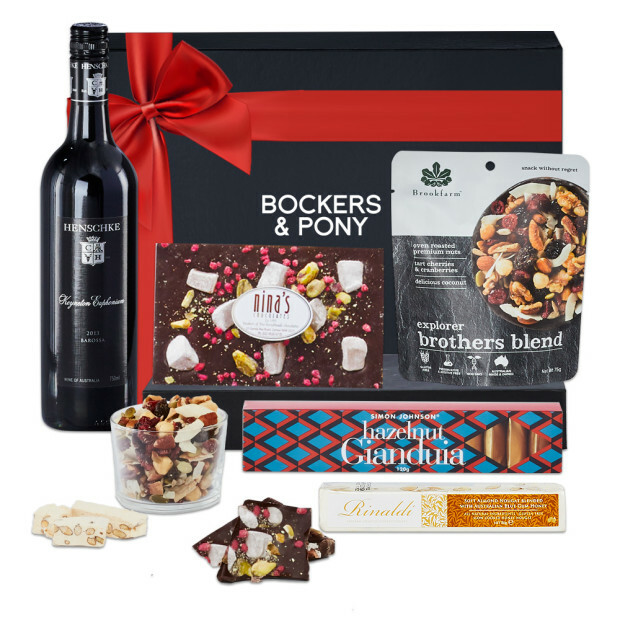 If you place your order before 3.00pm, we'll deliver most hampers the next business day. 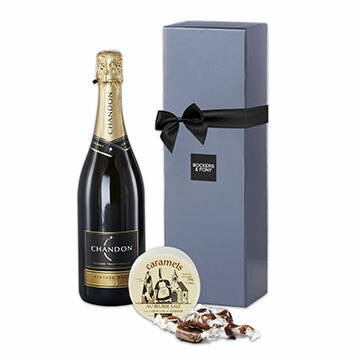 Gift hamper deliveries to capital cities such as Sydney are all next day. Delivery to remote or rural locations will take two days. You can place your order in advance and choose a future delivery date on the 'preferred delivery date' calendar when ordering online. Please place your order early to avoid disappointment and to give us the perfect opportunity to ensure we organise your Sydney hamper delivery on your preferred date. If we're delivering your gift hamper to a residential address in Sydney, please provide the recipient's phone number. We give our courier the authority to leave your Sydney gift hamper if the recipient is not at home. This only happens when the courier deems it safe. If the courier can't make a successful delivery, they'll leave a calling card for the recipient to collect the hamper from their local post office. The cost of delivering Sydney gift hampers to PO Box addresses, parcel lockers and RMBs (registered mail bags) is $25.95, including GST. If you provide a PO Box delivery address, the delivery times may be longer than stated above. If you do choose to deliver to a PO Box, the courier will leave a calling card for your recipient to collect the hamper from their local post office. Additional charges apply for multiple deliveries to the same address. 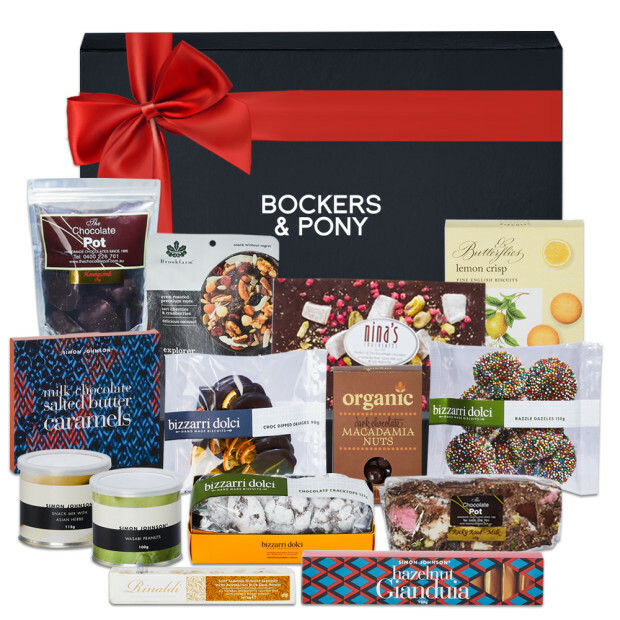 Our Bockers & Pony customer service team members are rock stars when it comes to organising logistics and deliveries for large Sydney corporate gift hamper orders. So if you're looking to organise multiple hampers to different Sydney addresses or indeed Australia wide — email us or give us a call on 1300 132 663 to chat about your requirements. If you're ordering for Christmas, please allow an extra day for delivery as our couriers experience an unprecedented volume of Sydney hamper deliveries during the last two weeks of December. Of course, we always endeavour to deliver your hampers as close to your preferred delivery date as possible. However, we ask that you keep this in mind and order early to avoid any disappointment! If you're concerned about your Sydney hamper delivery, please email our team or call us on 1300 132 663 to check the status of your order during this festive season. We pride ourselves on our ability to deliver Sydney gift hampers quickly and efficiently as close to your preferred delivery date as possible. If we do not deliver your order on your preferred delivery date, we are unable to cancel your order or credit your transaction. 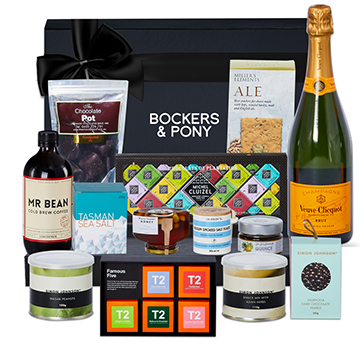 We look forward to assisting you with your beautiful Sydney hamper gifts. If you have any questions, please get in touch by phone on 1300 132 663 or email us at [email protected],au.